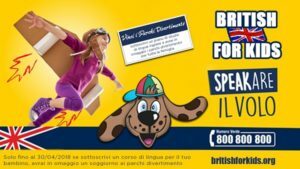 An English or language course in Italy, generally structured for children or adults, is certainly more captivating with a co-branding process linked to the possibility to get a journey in an amusement park in Italy. A language learning course is seen as a great opportunity for which they are generally applied, the same processes that occur for that of the mother tongue, in a natural, playful and exciting if structured for children. But knowing how to excite children to learning English or another language is not always an easy and immediate process. Especially the very little ones, they enter a fantasy world where they often live adventures of invented characters and are involved in a fun and highly motivating full immersion. Their fantasy would be very similar to a real amusement park experience in italy with their family. it’s not true? To combine the imagination of learning the language to touch the fantasy of amusement parks with their hands? Thus, in an interactive context, game and magic will be united; it is about giving space to creativity with a product/service of high value perceived and strictly involving (our mascot will drive children crazy). 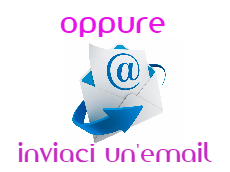 We can create a slogan to launch co-branding promotions that reflect what is offered (as in the highlighted image), using messages with content relevant to the period and the service offered and inserting compelling images to use on the site, on social networks and for each type of communication, increasing engagement and thus drawing attention to the exclusive service provided. Here’s how the choice of proposing a co-branding with a prize that is offered to the whole family is really something unique and special to let to your potential parent customer to choose your service highlighting it among the tide of services offered by the competition and available even if lower level. Quality is not always perceived immediately! That is when the contract is signed how many parents or potential members realize the actual quality that obviously can determine a price different from the competitors? Here is the reason to connect to your service something that makes the moment of the signature an emotional moment that can magnetize the interest and then discover that you have made the right choice and enjoy the quality! We can create the communication and unique “message” for the whole campaign, or build a communication flow that dilutes content over time. Remember that our target is families and children. The Paracadute Agency, communication agency stands as the perfect accomplice of your business success. What we offer is a functional co-branding with which you will be presented to the potential customer / consumer your service to which both brands have participated in the implementation and aimed at the target of families. to make the potential consumer perceive higher quality and greater attention than competitors. We can decide together the terms of the offer and build packages tailored to your needs also related to the product turnover. Our creativity will be your best ally in promoting this fantastic service offered by the creation of the idea to its creation in the big ocean of brand marketing. Our affirmation on the market is inspired by a business model that intelligently combines marketing, promotions and tourism. In this sense we work with an innovative project to make promotions, which involves the use of mini-holiday (weekend) as a promotion benefit in both B2B and B2C. Does the idea fascinate you? It will also please your customers! Contact us immediately at n. 392 064 6169, a personal consultant will assist you, who will be available in our offices or in your offices to analyze the specific requests and will follow you step by step in choosing the best solutions best suited to your needs.